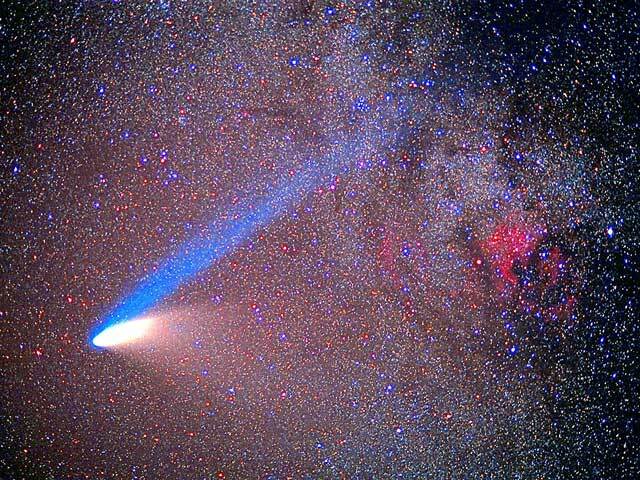 Explanation: Comet Hale-Bopp's 1997 encounter with the inner Solar System allowed many breath-taking pictures. 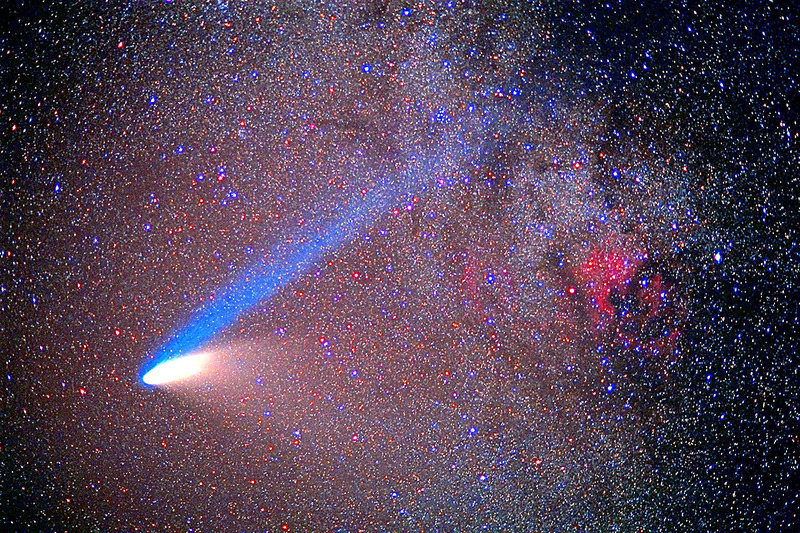 Above, Comet Hale-Bopp was photographed crossing the constellation of Cygnus, sporting spectacular yellow dust and blue ion tails. Visible on the right in red is the North America Nebula, a bright emission nebula observable from a dark location with binoculars. The North America Nebula is about 1500 light-years away, much farther than the comet, which was only about 8 light minutes away. Several bright blue stars from the open cluster M39 are visible just above the comet's blue ion tail.